UPDATE WEDNESDAY: Family and friends of two young Toowoomba men killed in a ute crash near Agnes Water yesterday morning are reeling as they try to come to terms with the tragedy. 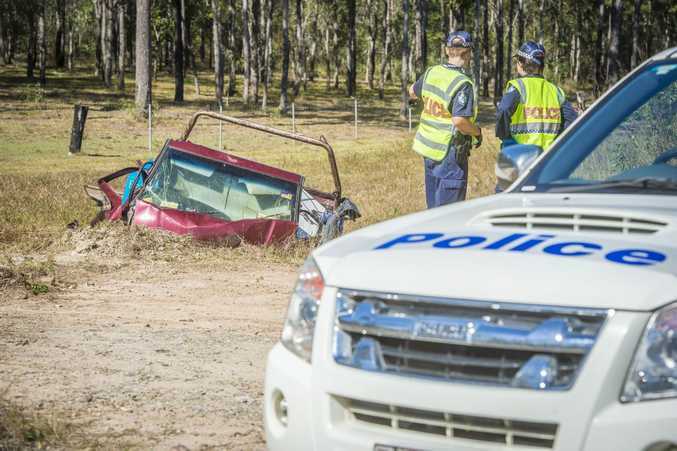 The 18-year-old driver and his 20-year-old passenger were pronounced dead at the scene of Tuesday's crash, about 20km from Agnes Water at Captain Ck. They were driving north on Round Hill Rd in a four-wheel-drive ute bearing the logo of Toowoomba home removal business Hassall Free Homes. A staff member from Hassall Free Homes yesterday declined to comment. Police believe the ute veered onto the wrong side of the road before crashing into a drain shortly after 6am. Agnes Water police officer-in-charge Sergeant John Edwards said officers were working to determine the cause of the crash. "From initial investigations, it may appear that fatigue was a factor but that is yet to be determined," Sgt Edwards told the Gladstone Observer. Online tributes began to flowed as news of the tragedy spread. "R.I.P mate ur goin to be sadly missed by so many ppl my thoughts r with ur family," one Facebook post read. "Still dont want to believe it at your dad's house now just waiting for you to pull in miss you so much cuz," another said. 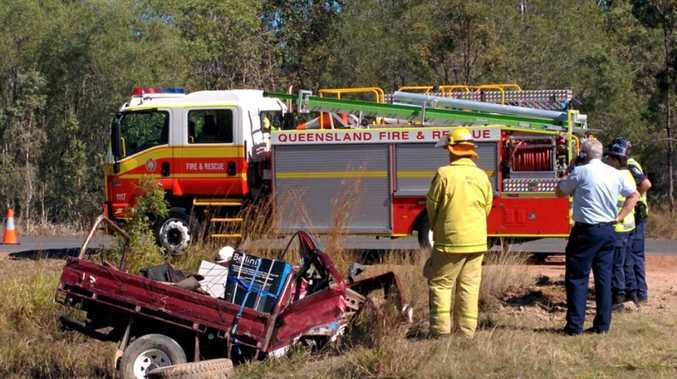 TUESDAY: Two people have died in a single vehicle accident near Agnes Water this morning. The driver, an 18-year-old man and his 20-year-old passenger, both from Toowoomba, were pronounced deceased at the scene. The double fatality happened on Round Hill Rd about 6.30am. A single vehicle was involved. The four-wheel-drive hit an embankment. The vehicle was travelling towards Agnes Water. The crash happened about 20km from the town. Emergency services were at the scene and firefighters were directing traffic around the crash throughout the morning. One lane of the road was closed. No further details are available until next of kin have been notified.